Pianova Piano Service & Sales: Great Times in New York at the Steinway Factory! Great Times in New York at the Steinway Factory! I arrived in Queens New York on Sunday, October 31st, Halloween night! It was fun to see the kids out trick or treating in all the restaurants and stores along Queens Blvd. So many funky, hole-in-the-wall places, and cool upscale places too! I had dinner at Dazie's, a nice Italian place a couple blocks from the hotel. My busboy (dressed as a bloody vampire!) had just come over from Italy a couple of months prior! I played the old Kimball baby grand they had by the bar. They were so friendly and insisted I come back the next night! The next morning our instructor for the week, Kent Webb, picked us up and after a "get acquainted" breakfast at Foxy's Diner, gave us a classic, aggressive, NY driver ride down Steinway Street which leads to the factory. It's funny to see so many businesses take advantage of the Steinway name: everything from coffee shops to body shops! Being at the Steinway factory feels a little like going to the "Holy Land" of pianos! For all practical purposes Steinway invented the modern grand piano. All the greatest pianists of the past 100 years have been associated with these instruments. One of the treats was seeing the log books where almost every Steinway that has ever been sold is entered. I even found my Steinway there: In beautiful handwritten script it showed that in 1913 My Model "O" was shipped to Sherman Clay in Seattle via San Francisco! I encourage anyone with a Steinway to call the factory and have them look it up in the book. Kent is the Manager of Technical Service and Support for Steinway & Sons. In this position, Kent oversees and conducts the Steinway Training Academy. He also works closely with All-Steinway Schools and Institutions to develop and maintain service strategies and resources. In addition, Kent coordinates service literature and publications, works closely with Festival Events, and participates extensively in educational events. When I first met Kent in the early 90's he was National Service Manager for Baldwin Piano Company. Kent has been with Steinway for 10 years. Most importantly, he knows all the best places to EAT! 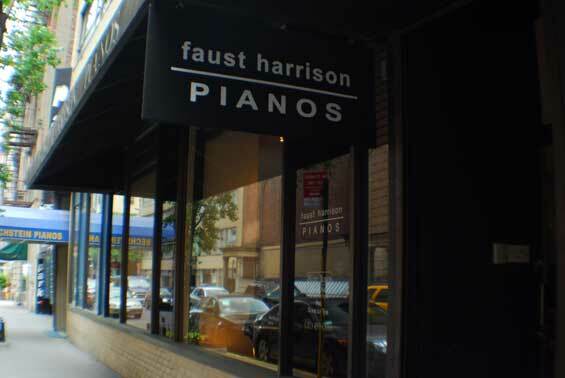 After class, Kent dropped me off at the "N" line subway that would take me to downtown Manhattan where the New York City Chapter of the Piano Technicians Guild was holding its monthly meeting at Faust Harrison Pianos. My friend Zeno Wood, technician for Brooklyn College had arranged for me to present a class on using software to evaluate one's readiness to take the Piano Technicians Guild tuning exam. I showed up early and got a tour of the store. Then I happened to overhear the owner, talking to the service manager about needing a Yamaha piano tuned before delivery the next day. Since I had nothing to do until the meeting I got out my tools and went to work! So now I'm an official New York piano tuner! Following the meeting we had an enjoyable round of drinks with my NY technician buddies. After staying out WAY too late, and then getting lost in the subway system, my guardian angel in the form of a cab driver got me home safe and sound! On Wednesday, my classmate and I (there were only 2 of us in this session, the third student broke his ankle and had to cancel!) had lunch with Kent at a great Irish Pub in Queens, and then caught the subway to downtown where we visited legendary Steinway hall. Steinway hall is also the home of "The Basement" a large storage area/workroom where the fleet of concert grands is kept and maintained, and where the best of the best come to select their favored instruments for recording or performance. As one accomplished concert pianist put it, "There isn't a first class piano player in the world who does not expect to visit the Steinway Hall concert Basement before a New York performance. It is a piano mecca - sort of the center of the piano universe"
we visited one of the most beautiful buildings on earth: St. Patricks Cathedral. We finished the evening over in the theater district and had an incredible dinner at Kent's favorite Chilean Restaurant: Pomaire. I got acquainted with the national drink of Chile: Pisco Sour. The meat and corn pie was delightful and the desserts were spectacular! How does anyone in NY stay thin?? power is brought up, the tone is smoothed and controlled with strategic needling right into the strike point of the hammer. On most other hammers this would kill the tone, but with Steinway hammers this is the norm. It was also emphasized that working with the hammers is at the end of a chain of events that prepare the piano for final voicing: parts must be properly aligned and adjusted, strings must be level, and the keyframe must be properly mated to the keybed. Only then can the tone reach its full potential. 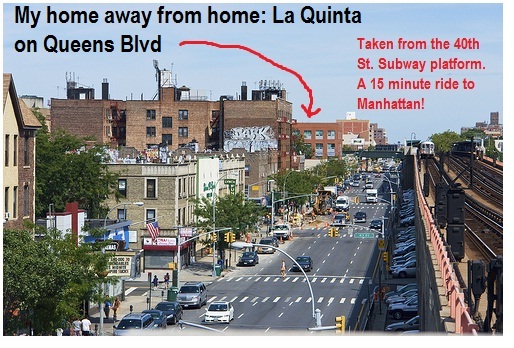 My next trip to New York is scheduled for November 2011. I'm really looking forward to that session because Jean is planning on coming with me! New York is such a romantic city. I look forward to being there with my best friend who also happens to be my wife! nice. I like how you worked in some talk about food in there.